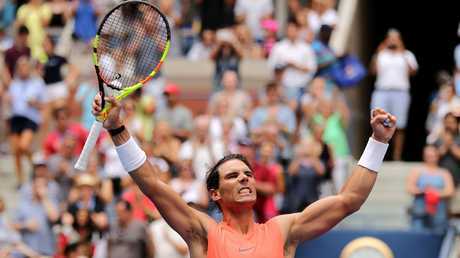 DEFENDING champion Rafael Nadal has reached the US Open quarter-finals for the eighth time where he will face Dominic Thiem, one of only three men to defeat him in 2018. 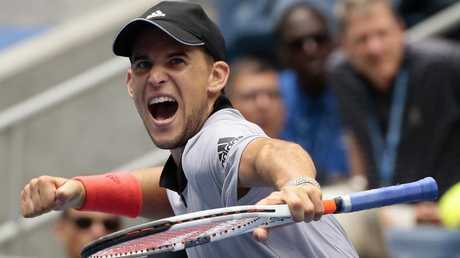 Thiem is a great opponent, he has the big serve and he had a big win today against Kevin," said Nadal who has made the last-eight of every Slam in the same year for the first time since 2011. "I was really close last year, I couldn't close it out." Thiem's progress to the last-eight comes despite choosing to play European clay court events after Wimbledon before then losing his only summer hard court outing in Cincinnati to Stefanos Tsitsipas. "But I'm really looking forward to play him on hard court for the first time. "On clay, I think it's one of the biggest challenges in sports to beat this guy. I hope that it's a little bit more comfortable on hard court, but I'm not sure." Anderson went into Sunday's match with Thiem boasting a 6-1 record with his only loss against the Austrian on clay in Madrid this year. Coric, 21, is playing in the fourth round at a Slam for the first time. The day's other last-16 duel sees US 11th seed John Isner tackle fellow big-server Milos Raonic, the 25th seeded Canadian.